What Is The Ideal Photoperiod Duration? What's with all the one line open ended questions admin? Mikeygmzmg and Mikeygmzmg like this. I've always been told 8 hours. After well over 50 years of fish-keeping, on & off, I'd have to peg it between 7 and 8 hours daily for most plants, maintained @ high or low tech. Going between 11.5ish and 12.5ish hours as the seasons change. For temperate species @ Northern hemisphere, e.g. Elodea canadensis, Macropodus ocellatus, etc, ~18hrs late June / early July, ~6hrs late December / early January. Do temperate plant species "burn out" if not cooled down a few months each year? Many of AquaBid's "US Native Fish" for example will die prematurely if Winter-like conditions are not mimicked. First, thank you for listening to the community feedback and replacing those articles with themes that we can debate and share our experience about. 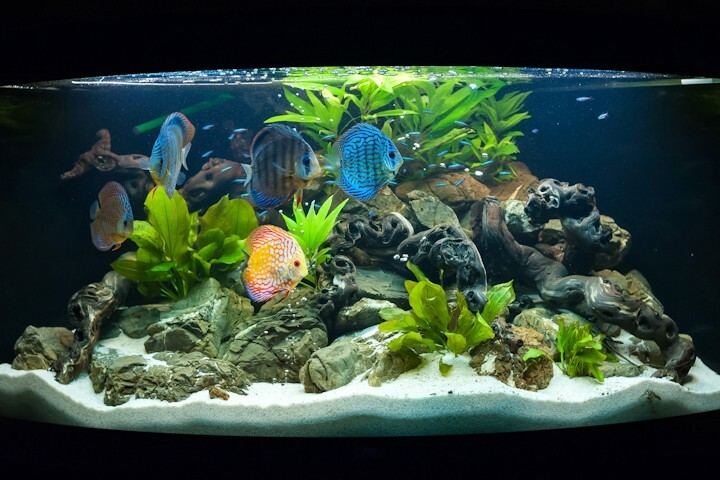 The ideal length of the period will depend from aquarium to aquarium and is hard to find the exact duration that gives maximum returns with minimal adverse effects. Also it is important to understand that light strength and light duration are not in a simple mathematical relationship; ie. keeping a light at 1/3 strength for 18 hours is not the same as keeping it at full strength for 6 hours. That being said, I start new aquariums with 6h and then go up. All plants I had survived at this light duration. However I noticed red plants become redder as the light duration increases. I also suggest 8h is a good spot. 12h would be the top for stronger light. Some plants will close up when their photoperiod is close to the end (Althernathera, Rotala..). Run a stable photoperiod over a long time. Then start the photoperiod 4 hours later, you will see some plants still close up at the previous closing hour. How long does it take for the plants to change their internal clock and adjust to new light schedules? What is the impact of environmental light ? gnovince, gnovince, Termato and 1 others like this. 24/7 light for fry? just curious about this why? Walstad recommends 12-14hrs in her book which I imagine suits the method she made popular. I tend to run 8-9hrs ongoing for CO2 injected tanks whether medium or high light. I start new tanks at 6hrs and build from there. Low techs I run from 6hrs to 12hrs depending on the strength of the light, plants in situ etc. It's one of the 5 tactics used to "power grow" fry, i.e. grow them at the absolute fastest rate possible. I'm not advocating it, but it does have its advantages. I began noticing differences in fry growth rates over the years while raising fry at tropical latitudes (12hrs), northern latitude during Winter (~6hrs), and northern latitude during Summer (~18hrs). So then I took it a step further and left the lights on 24/7. They consumed more food, even nocturnal/crepuscular species, and grew faster. I don't have scientific supporting data, but it works, I've seen it with my own eyes. interesting, I was planning a freshwater sump/refugeum that would double as a fry growout tank so interesting idea, good to know if I did extended photoperiod on the refugeum it wouldn't hurt the fry.